The returning cast and production staff for the upcoming Kamen Rider Amazons spring movie has been finally confirmed . It is confirmed that the 3 actors who portrayed the Kamen Riders from the series will return to portray their roles and they are Masashi Taniguchi (Jin Takayama/ Kamen Rider Alpha), Tom Fujita (Haruka Mizusawa/Kamen Rider Amazon Omega) and Yo Maejima (Chihiro/Kamen Rider Amazon Neo). Other returning cast are Rena Takeda (Mizuki Mizusawa), Ayu Tagahashi (Nanaha Izumi), Ayana Siramoto (Iyu/Crow Amazon), Eiji Akaso (Hiroke Nagase), Kota Miura (Takeshi Kurosaki), Mitsutosho Shundo (Makoto Shido), Yoshito Momiki (Ichiro Fudamori), Kanon Miyahara (Nozomi Takai), Kazuya Tanabe (Kota Fukuda), Yu Kamiyo (Yugo Tachibana), Takako Kato (Reiko Misuzawa) and Takashi Fujiki (Takaaki Tenjo). The movie is written by Yuya Takahasi (Kamen Rider EX-AID), supervised by Yasuko Kobayashi (Kamen Rider OOO) and is directed by Hidenori Ishida. 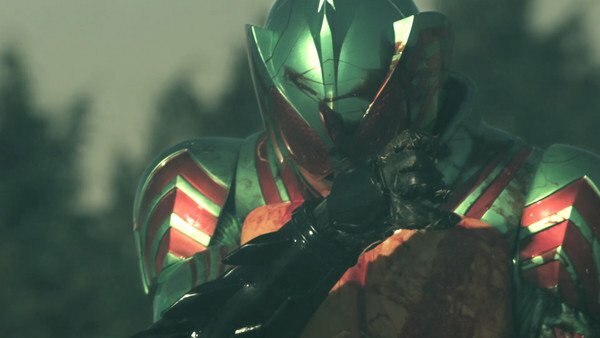 Kamen Rider Amazons: Final Chapter is set for a Spring 2018 release. Wait, weren't Nanaha, Chihiro and Iyu already dead? I am concerned about continuity with that cast lineup. I was under the impression at the end of season 2 that Nanaha, Iyu, and Chihiro had kicked it. Unless some of it is told in flashbacks, this is a legitimate concern. The ending was left up in the air about Chihiro, but it was heavily implied that he was killed.